The Baubax travel jacket is the most funded clothing project in the history of crowdfunding. With over 55K customers backing our crowdfunding campaigns, Baubax was featured in 70+ publications including CNN Money, Entrepreneur, Inc Magazine. The Baubax travel jacket comes with 15 features, including a neck pillow, eye mask, gloves, stylus pen, tech pockets and much more. Further note, our blazer and bomber jackets also come with detachable hoods. 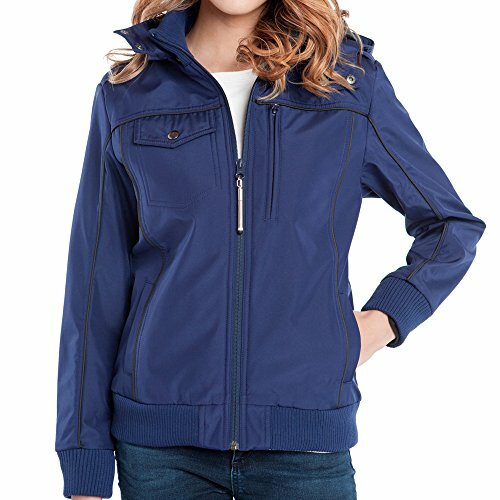 There are four styles of jackets available in both men and women cuts, with a variety of size and color options as well. Get yours now! Please refer to our size chart as Baubax jackets are slim-fit and may run small. If you have any questions about this product by Baubax, contact us by completing and submitting the form below. If you are looking for a specif part number, please include it with your message.